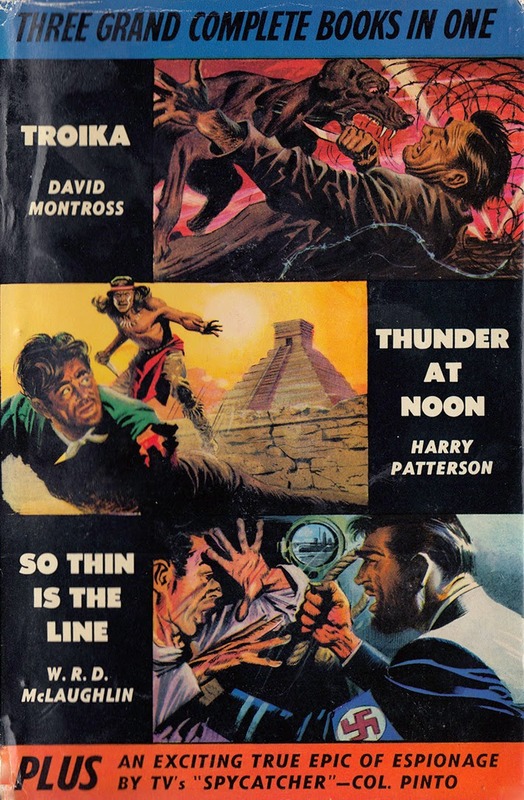 Thunder at Noon is the eleventh novel published by Harry Patterson. 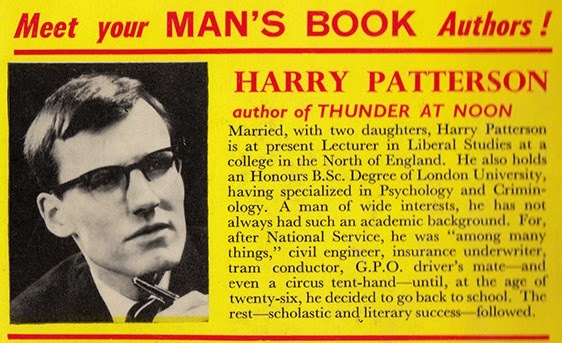 It was released as a hardcover by John Long in 1964. It was extensively rewritten, and published as Dillinger in 1983, which is a shame because Thunderis a pretty terrific novel and its revision essentially doomed the original story to extinction. 1930. Mexico’s revolution is still a fresh memory. Harry Jordan is an English mining engineer who came to Mexico seeking adventure and wealth. He found an abundance of the former and little of the later. He spent the last year panning for gold in the Yaqui River basin and as the novel opens he is in Durango waiting for the next train north. His plans change when he is arrested on trumped up tax evasion charges after refusing a job offer from a wealthy mine owner named Don Jose Manuel de Rivera.